Employee Benefits Carriers & TPAs | Rehoboth Beach, DE | Wilmington, DE | Williams Insurance Agency, Inc. 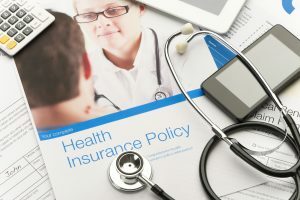 The Williams Insurance Agency, Inc. represents some of the most reputable insurance companies in the nation to bring your business strong employee benefits, as well as third-party administrators (TPAs) to help process claims and handle employee benefits. Contact our insurance professionals to learn more about how we can free up your time while providing exceptional benefits packages. We can help your company attract and retain the high-quality employees that your Delmarva area company requires to prosper. To learn more about the products offered by our employee benefits carriers and TPAs, contact the Williams Insurance Agency, Inc. in Rehoboth Beach, Delaware, at 302-227-2501 or in Wilmington, Delaware, at 302-239-5500. Our agents are available to provide personalized business insurance products to meet your needs as well as your budget.